Ahava cosmetics denounced for mining resources and factory in occupied territory. The Dead Sea is renowned for its distinctive geographical, mineral and climatic features and is rich in natural resources, such as groundwater, surface water, springs system and deposits. The wide variety of minerals present in the area permits the development of profitable cosmetic industries and raw materials, such as silt, sand, gravel and mud, are regularly extracted for these purposes. 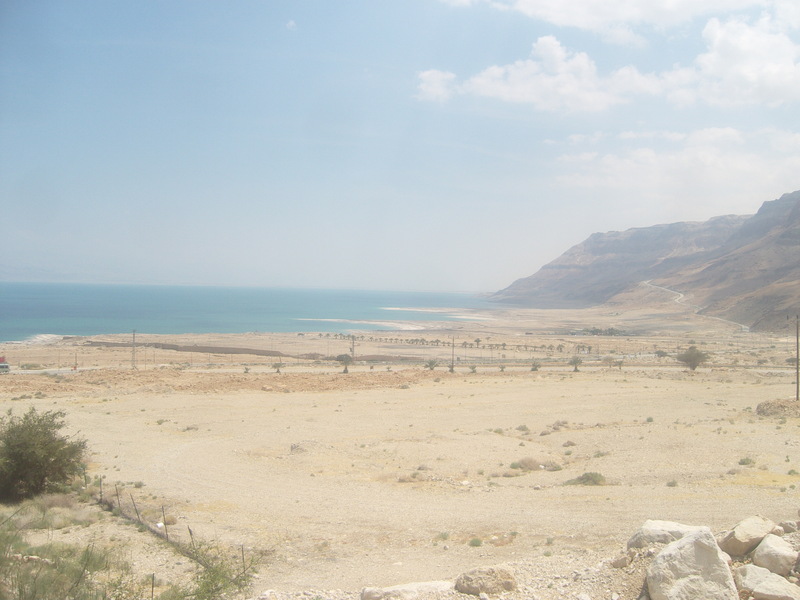 Almost two-thirds of the western shore of the Dead Sea lies within the West Bank. Since 1967, Israel has unlawfully appropriated vast portions of Palestinian land in the occupied Dead Sea area primarily to establish settlements and through these exerting a firm control over the region, including over its natural resources. 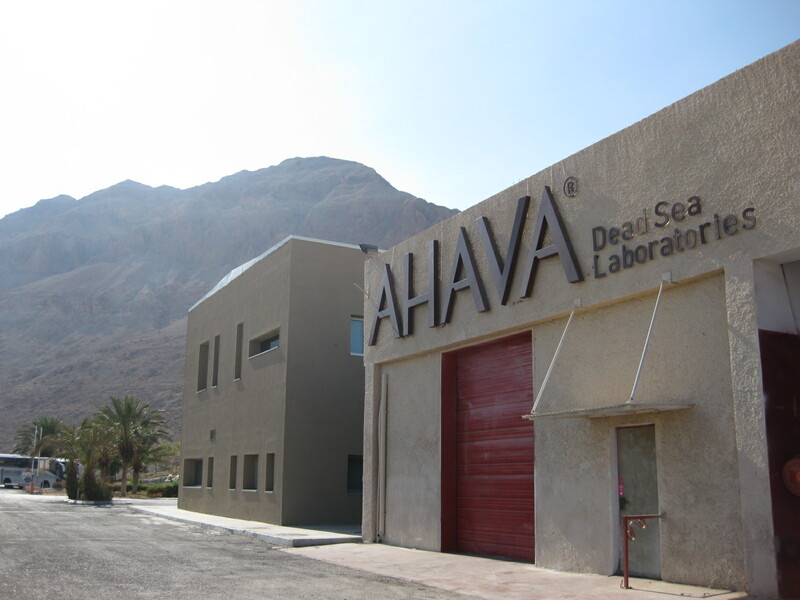 Ahava cosmetics company uses mineral-rich mud from the Dead Sea to make high end skin care products, and is based in the settlement of Mitzphe Shalem, established in 1970 on the land of the Bedouin village of Eyn Treibah, and claimed to serve as an “agricultural observatory”. According to an Al Haq report Ahava is "unlawfully utilising the Palestinian natural resources of the Dead Sea area for its own economic profits and therefore can be considered directly responsible for the pillage of the occupied territory's natural resources in clear violation of customary international law". 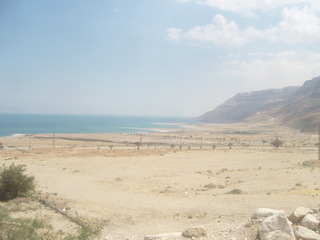 The organization points out that Dead Sea mud has generated copious amounts of revenue for Ahava, Mitzphe Shalem, and other shareholders such as Gaon Holdings and Shamrock Holdings since 1988 while Palestinians are unable to enjoy the economic benefits of their confiscated lands and cannot move freely among Israeli settlements let alone live in them. Al-Haq has thus called on cosmetic retailers to provide clear information about the origin of products they sell to allow consumers to make an informed choice about purchases. They argue that there is international misinformation related with the origin of Ahava’s products, as in their labels it can be read “Made in Israel” and that this is a case of false advertising, as it hides their real origin and the fact that purchasing Ahava products finances injustices against Palestinians and diminishes Israel’s accountability in its unlawful land seizures. It is alleged that the following rights under the law of the occupation are being infringed in this case: Prohibition of settlements of illegal transfer of civilians from the occupying power into the occupied territory, under Article 49(6) of the Fourth Geneva Convention of 1949. The occupying power must respect private property under article 46 of the Hague Regulations. Destruction of existing infrastructure of the occupied population is also prohibited under article 23(g) of the Hague Regulations 56 and Article 53 of the Fourth Geneva Convention, unless the destruction is of absolute military necessity. Under Article 43 of the Hague Regulations, the occupying power is prohibited from constructing permanent infrastructure in occupied territory, unless it serves military purposes or advances the interests of the occupied population. Also under article 55 of the Hague Regulations, the occupying power should only function as a temporary administrator and usufructury (limited beneficiary) over the property and capital located in the occupied territory. The use by the settlements of natural resources permanently affect the natural assets of the occupied Palestinian territory and harm the environment, and violates article 55 of the Hague Regulations. And that in spite of these violations, these activities were validated by the Israeli High Court of Justice’s (HCJ) ruling in December 2011. Activists have also called for international boycotts of Ahava products and in 2011 Ahava was forced to close its flagship store in central London in after two years of concerted campaigning by grassroots groups. Project Details Dead Sea mud is renowned for its unique cosmetic qualities. Around 50 factories are working in the cosmetic field in the Western shore of Dead Sea, both in the occupied Dead Sea and those belonging to Israel. As an extremely lucrative economic activity, the level of production amounts about 29 million USD per year. In 2007, Ahava's annual revenue was 142 million USD. Ahava Dead Sea Laboratories, located in the settlement of Mitzphe Shalem, holds the only license provided by the Israeli Civil Administration to mine Dead Sea mud in the Occupied Palestinian Territory, and benefits from other incentives provided by the Israeli government to settlement businesses. A majority share of Ahava, previously owned by the Israeli settlements of Mitzphe Shalem and Kalia, was purchased by a Chinese holding company. Ahava manufactures and sells cosmetics products worldwide. Development of Alternatives By virtue of the temporary nature of the situation of occupation, Israel must be regarded only as the administrator of the natural resources belonging to the Occupied Palestinian Territory (OPT), and is obliged to administer them in accordance with the rule of usufruct. Accordingly, Israel is prohibited from exploiting natural resources in a way that undermines their capital and results in economic benefits for Israeli citizens, including settlers, or for its national economy. Thus, Israel’s practices in the occupied Dead Sea area represent blatant violations of its legal obligations under international humanitarian and human rights law, since they favour Israeli economic interests while denying the Palestinian people their right to self-determination. The latter is considered a peremptory norm of international law, that is to say a norm that is binding on all States and from which no derogation is permitted. Why? Explain briefly. Ahava is a company still in operation in Palestinian territory, currently there is not a clear solution to these environmental justice violations.